Android Oreo released with cool features such as Notification dots, PIP mode, Adaptive icons, Autofill, Notification channels and more. 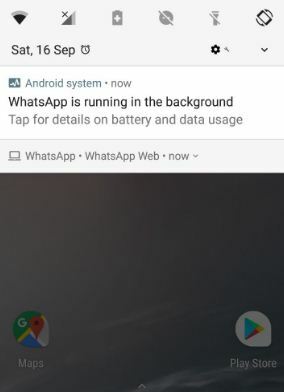 Annoying by running in background notification in android 8.0 Oreo? But several users reported app running in the background notification is irritating more sometimes. So here I will show you guide to hide apps running in background notification on android Oreo 8.0. This running background app activity is the main reason to reduce battery life on your android device. So hide or stop apps running in background in android 8.0 Oreo device. This persistent notification is unpleasant for some Oreo users or some users not like the force stop background running apps in Oreo device. 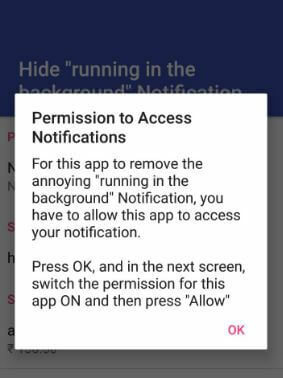 Follow below given step by step guide to hide apps running in background notification on android Oreo 8.0 devices. This app running in background notifications in android Oreo affect the users who use Google Map, Email and other apps. You can sometimes see app is running in the background message on your Oreo devices such as Pixel, Pixel XL, Nexus 6P, Nexus 5X, LG, HTC U11, Moto Z, Nokia etc. To hide or remove apps running in background notification on android Oreo, first of all download android app in your device. 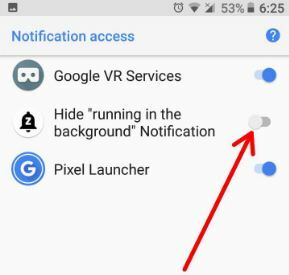 Now view Google VR services, hide “running in the background” notification and pixel launcher options. By default disable hide “running in the background” notification option. Now enable hide apps running in background notification on android Oreo 8.0 device. To disable it, turn off toggle button in this app. Now open any app which background activity in running, you will be no longer to show any notification in your android Oreo devices. 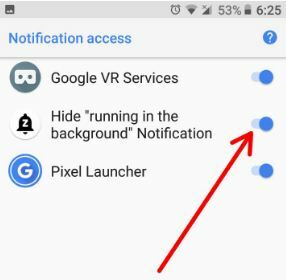 Using this android app, you will easily hide running in the background notification on android Oreo 8.0 devices. And that’s all. Did this solution work for you? Do you know any alternative method to hide apps running in background notification on android Oreo 8.0? 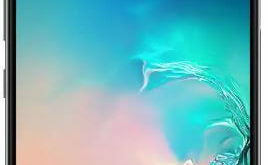 Share with us in below comment box. Please share this android Oreo tips if you found it helpful.